The new Wild Rose Vitamin C Collection is powered by Super Vitamin C and infused with Wild Rose Oil, for the most advanced brightening and first wrinkle reduction ever experienced. Each product is formulated with a 5x-clinical-efficacy level pure Super Vitamin C which is oil-soluble, for superior skin penetration and absorption and Wild Rose Oil, a powerful antioxidant. The combination of these precious ingredients ultimately brightens and evens skin tone while minimising the appearance of pigmentation and premature skin ageing. Young-looking, luminous skin is now revealed! Super Vitamin C, a high absorbance stabilized Vitamin C that increases skin’s vitamin C absorption by 1000% – delivers advanced brightening and even skin tone. Super Vitamin C promotes collagen and hyaluronic acid synthesis, reduce fine lines, wrinkles and protects against free radicals and UV damage. 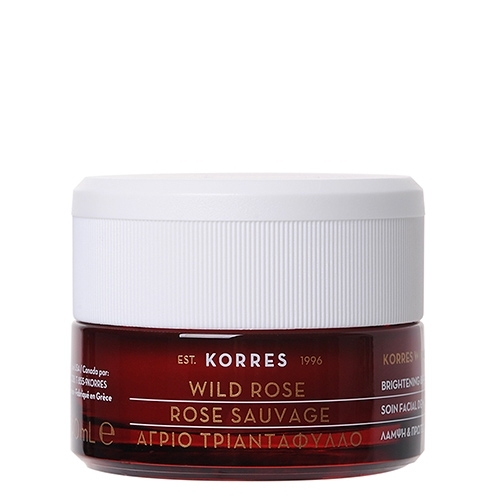 Wild Rose Oil, a precious ingredient long-used in the Korres Herbal Apothecary, is nature’s answer for luminous, glowing skin. A natural source of high in Vitamin C content – 9 times higher than that of an orange juice. 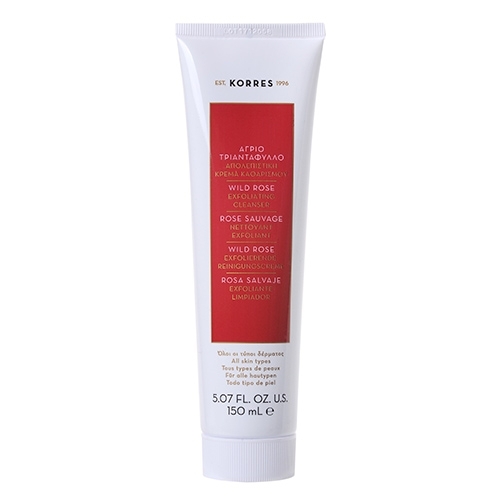 This iconic Korres ingredient repairs fine lines and wrinkles, enhances skin plumpness, improves skin texture and offers powerful brightening and moisturising action. 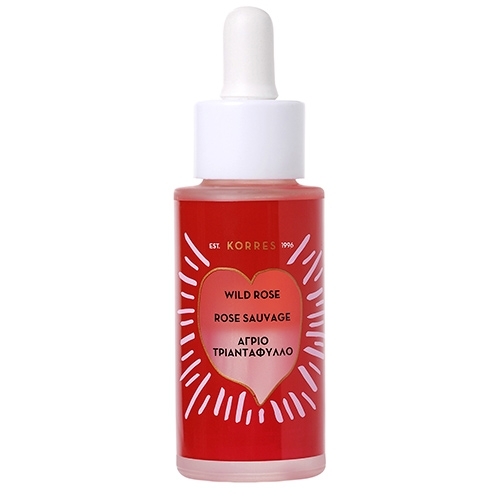 Wild Rose Oil the 1st ingredient used in the Korres Pharmacy, loved by clients and long time perceived as a remedy for dark spots, acne scars and stretch marks. A potent 15% Super Vitamin C brightening bi-phase booster powered by 5x clinical-efficacy level of pure Super Vitamin C combined with Wild Rose Oil, helps reduce all signs of premature ageing, pigmentation and fatigue, transforming the skin in just one week! The unique formula can be included in your daily skincare routine, directly on spots, as a makeup primer or as a four week treatment – depending on your skin needs! Offering a soothing and moisturising action for your skin. Combined also with vegetable squalene, vitamin E, bisabolol and ginger root extract to nourish and strengthen the skin and protect against environmental pollution and UV radiation. Sand Lily and Sea Fern extract are also used to deter blemishes, dark spots and promote even skin tone. 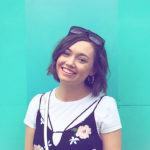 #TeamGorgeous took part in a trial and review for the NEW Wild Rose with Vitamin C Range – they consistently trialled the regime for a whole month and here’s the results. I was surprised by the quality and it would expect to pay more than the prices that they are. The range smells really good and it left my skin feeling refreshed. The Vitamin C day cream is a really light, yet nourishing cream. I love putting it on in the morning and it sits really well under make up. I really noticed a difference in my skin after using the Bi-Phase booster for about 7 days. Again, it’s really good as primer. My fave product is the Sleeping Facial. I absolutely love it and I have made it a permanent part of my night routine! My skin feels amazing after I put it on and my skin still feels really moisturised in the morning. When I started the regime I was a little worried about using so many new products, as my skin can be quite sensitive. The cleanser is such a lovely creamy texture and left my skin feeling fresh and clean, I then applied the Rose Brightening Oil which in the first instance I was a little apprehensive about, as it made my skin feel quite greasy and ‘wet’ looking. The Brightening Oil quickly sunk into my skin leaving it looking bright and radiant. Both the day and night creams felt great when I applied them, my skin really felt like it needed a good moisturising and both of the creams really hydrated my skin. Morning and night my skin looked brighter and healthier and felt much more comfortable. The Hydrating Mist was an added extra throughout the day/as needed, helping to set my make up while wakening my skin which before this range felt thirsty, but since feels totally refreshed. I would definitely go back to this range for its deep hydrating benefits without any redness or blemishes! The product that stood out and really felt great on my skin was the Night Cream, each night I have been applying a thick layer all over and waking up with the brightest, healthiest-looking skin! The perfect start to my morning. Provides a great base for makeup, glides on. My skin feels silky smooth, radiant. I use the spritz during the day to refresh and rehydrate my skin. Smells great, was sceptical about rose as I’m not really a fan but it doesn’t offend me and is very subtle. Face wash is amazing and can use to remove eye makeup too which is great. I can still feel the nourishment of the products on my skin in the morning when I wake but also the benefits of them on my skin. Don’t feel the need to rush to the mirror & look at my skin when I wake because I know it’s still glowing! I was a little sceptical about trialling this range, but I am so pleased I did, I ended up loving it; my skin feels smoother and more radiant and the range smells gorgeous. The Vitamin C Advance Brightening Bi-Phase Booster is great to combat dark spots and dullness. I am a great fan of Vitamin C, so this booster is the perfect base to apply to my skin. 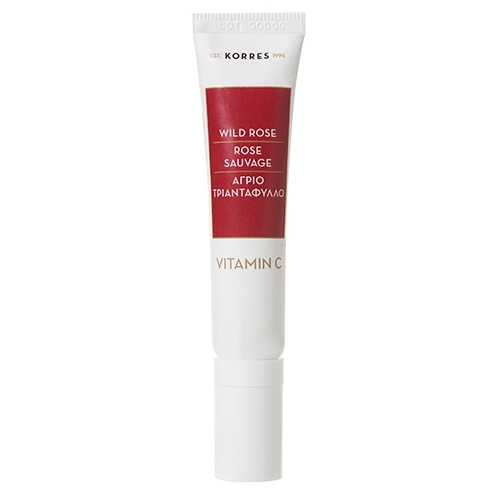 I’ve been following the booster with the Korres Natural Wild Rose Vitamin C Day Cream for Dry Skin 40ml. My skin is a little dry, so this cream is perfect. It has a lovely creamy texture, smells lovely and absorbs into the skin quickly. 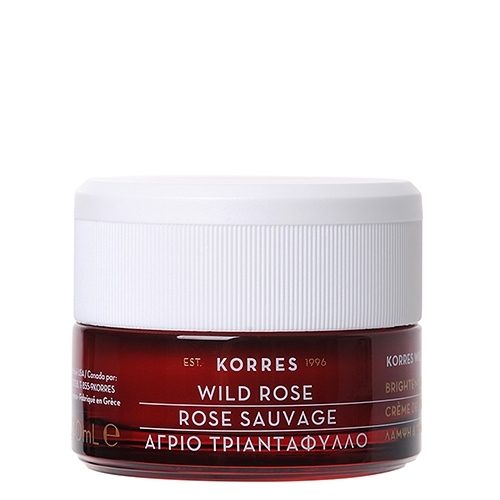 The Korres Natural Wild Rose Vitamin C Sleeping Facial is easy absorbed into the skin, more than just a sleeping mask, it is a luxurious sleeping cream and my skin feels supple and luminous by morning. I have taken to spritzing my face for a refreshing boost throughout the day with the Wild Rose Vitamin C Hydrating Mist. I definitely feel like my complexion is a little more glowing after using this range.